To support the millions of children lacking the basic early learning skills to succeed in school, the U.S. Department of Education’s Ready To Learn Television grant has funded the development of educational television and digital media targeted at preschool and early elementary school children and their families, especially those who live in low-income communities, for the past two decades. Under this federal grant, CPB and PBS KIDS work with producers, researchers, local public media stations, and other partners to develop, distribute and evaluate PBS KIDS multiplatform content – including television programs, video, interactive games, mobile apps and hands-on activities – to engage children, families, and educators in learning experiences at home, in preschool, and in out-of-school settings. In this grant cycle, CPB and PBS work with experts in early learning to create science and literacy-based programming, mobile apps and online games. 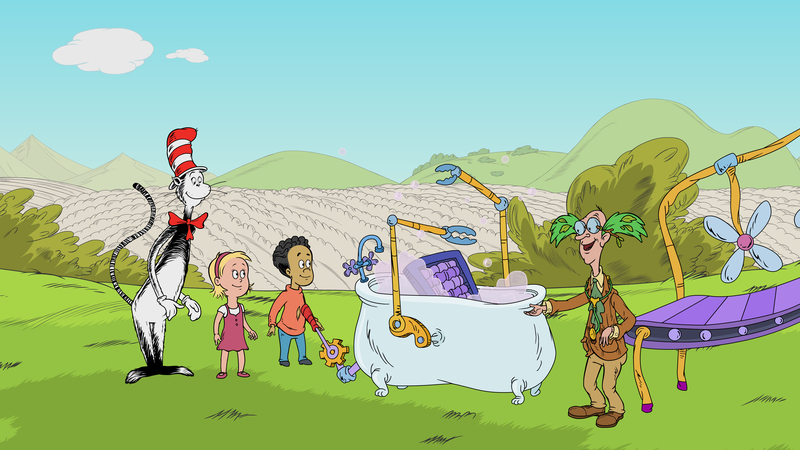 The grant funds new content for PBS KIDS series such as The Cat in the Hat Knows a Lot About That! and Ready Jet Go! PBS KIDS is developing two new multiplatform properties as part of this effort, focused on scientific inquiry and informational text literacy. CPB and PBS are leveraging this content to develop personalized learning experiences for children and provide meaningful data to parents, caregivers and teachers. A New Early Elementary Digital Science Series, The Ruff Ruffman Show — Canine host Ruff Ruffman helps kids experiment with science in everyday life. The series includes online videos, an app, online games, and engagement resources for families and out-of-school time. New Preschool Science Content from The Cat in the Hat Knows a Lot About That! — New episodes of this PBS KIDS series inspired by the Dr. Seuss Learning Library books are supplemented by digital games and family engagement resources. New Preschool/Early Elementary Science Content from Ready Jet Go! — New episodes of this astronomy and earth science series featuring Jet Propulsion and his friends include a one-hour special, Back to Bortron 7, and new digital games. PBS KIDS Family Creative Learning (FCL) — In this engagement resource, inspired by Ricarose Roqoe’s Family Creative Learning, preschool and early elementary children, along with family members, attend four meetings to explore science through hands-on activities. PBS stations and partners are holding workshops based on PBS KIDS ScratchJr and The Ruff Ruffman Show, with more versions planned. Early Elementary Science Camps – PBS stations and their partners are holding Odd Squad: Be The Agent Science Camps during and after school. Ready Jet Go! Space Camps will be added in 2018. Early Childhood Educator Professional Development – PBS Teacherline has launched two new courses, K-2 Science Tips: Animal Adaptations (for Certification) and K-2 Science Tips: Energy & Motion (for Certification), with additional offerings planned for 2018 and beyond. These training materials to boost science and informational text pedagogy are being produced with support from RTL partners at Boston University’s School of Education. PBS LearningMedia – A new Ready To Learn collection of content, resources, and research reports can be found on PBS LearningMedia. RTL science and informational text content as well as personalized and adaptive learning features are rigorously reviewed, tested, and evaluated at every phase of development and implementation by experts to assess their usability, appeal, and impact on children’s learning. Recent studies by EDC and SRI International continue to show positive gains not only for children, but also for their families and educators, and public media station communities. Ready To Learn Research: What Parents Talk About When They Talk About Learning: A National Survey About Young Children and Science (2018, EDC & SRI). Nearly all parents want to be involved in their children’s education, but most are less likely to feel confident teaching their young children science than reading, writing or math. (Executive Summary and Infographic). Ready To Learn Research: PBS KIDS ScratchJr Family Creative Learning Workshop Implementation Study (2017, EDC & SRI). The workshop boosted parents and children’s interest in and learning of technology and coding (Report Highlights). Between 2010-2015, CPB and PBS collaborated with numerous partners to produce, evaluate, and disseminate a collection of evidence-based educational media and learning resources to advance the math and literacy skills of young children, particularly those in low-income communities. A Preschool Math Property, PEG + CAT – Peg and Cat use math and problem-solving skills to save the day. In 2015, PEG + CAT reached 11 million children on television and 12 million users digitally. An Elementary Math Property, ODD SQUAD – Young agents are presented with a unique math problem that they must solve together through teamwork, critical thinking, and related math skills and practices. In 2015, ODD SQUAD reached 10 million children on television and 20 million users digitally. Transmedia Game Collections and Apps – These integrated collections of interactive content and games feature over 135 new games and mobile apps based on characters and storylines from popular PBS KIDS series such as Curious George, The Cat In The Hat Knows A Lot About That, Cyberchase, Dinosaur Train,Martha Speaks, Sid the Science Kid, Super WHY!, and others. 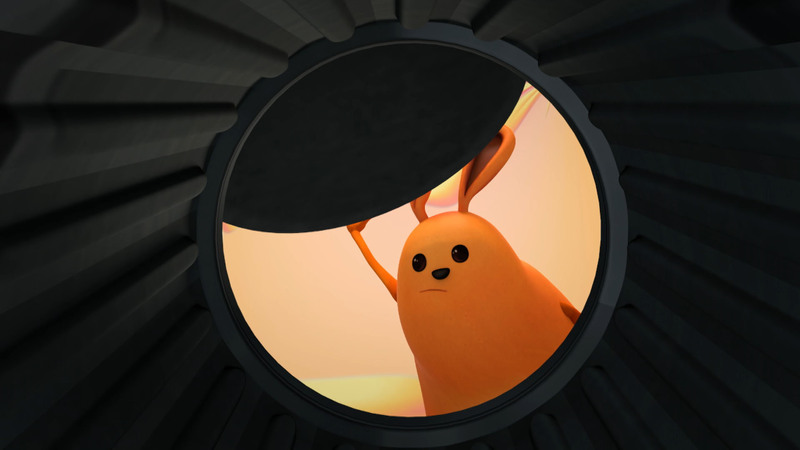 The Electric Company Immersive World – The project developed a web and mobile-enabled immersive world called Prankster Planet to extend the math and literacy impact of The Electric Company. A wide range of resources, both in-school and out-of-school, were also created to support summer learning, bilingual education, and more. Technology Innovations to Empower Parents and Educators – The project built and tested Measure Up!, a cutting-edge learning analytics platform that captures data from children’s real-time gameplay to help parents chart their child’s progress and receive recommendations for ways to further support their children’s learning. Learning Resources and Community Engagement – Through collaboration with local public media stations and their partners, CPB and PBS scaled the usage of RTL content and tools across the country with parents, caregivers, and teachers who work with target audience children. Tools featured PBS KIDS Lab, the PBS KIDS Play and Learn app, RTL’s Mobile Learning Program, Teaching Tips modules and videos, as well as PBS KIDS Afterschool and Summer Adventures. and more. RTL math and literacy content is rigorously tested and evaluated at every phase of development and implementation by experts to assess its impact on children’s learning. More than 100 research and evaluation studies completed since 2005 show that this content engages children and enhances their early learning skills, and that children can make significant academic gains when taught through a combination of media. Recent studies by EDC, SRI International, and WestEd continue to show positive gains not only for children, but also for their families and educators. Supporting Parent-Child Experiences with PEG+CAT Early Math Concepts (EDC & SRI, 2015). This randomized RTL study found that children who used media content from PBS KIDS’ series PEG + CAT showed improvement in critical math areas involving ordinal numbers, spatial relationships, and 3-D shapes. Parents and caregivers also showed greater comfort and confidence in supporting their children with math concepts and problem-solving strategies. ODD SQUAD: Learning Math with PBS KIDS Transmedia Content at School and Home (2015, WestEd): Use of ODD SQUAD resources was shown to improve elementary-age students’ mathematics learning. 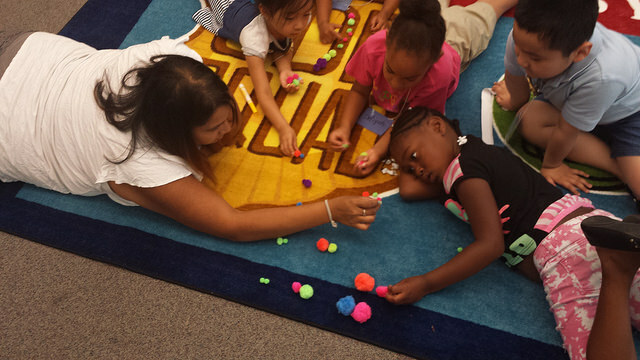 Learning with PBS KIDS: A Study of Family Engagement and Early Mathematics Achievement, (2015, WestEd) PBS KIDS resources, coupled with family engagement, can help narrow the math achievement gap for children from low-income families and better prepare them for kindergarten. PEG + CAT Content Study (2014, ED/SRI): PEG + CAT resources were shown to improve children’s learning and engagement and were viewed favorably by parents. PBS KIDS Mathematics Transmedia Suites in Preschool Families and Communities (2013, WestEd): Children’s math scores improved and parents increased their support of children’s math learning while using Ready To Learn content. Preschool Teachers Can Use a PBS KIDS Transmedia Curriculum Supplement to Support Young Children’s Mathematics Learning (2013, Pasnik & Llorente): Results of a randomized controlled trial indicate that Ready To Learn content improved children’s understanding of early math, and increased educator content knowledge. Evaluation of The Electric Company Summer Learning Program (2011, WestEd): Students made significant gains in math, vocabulary, numeracy and phonics skills.